The Sims 3: World Adventures introduced the sarcophagus in The Sims 3 when Sims traveled to Egypt. 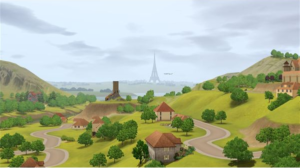 It can take a long time for a Sim to collect enough Sims 3 sarcophagus fragments before they can attempt to build one of the special sarcophaguses, but there is a way for them to buy it easily by cheating. Find out how to do both of these in this guide! 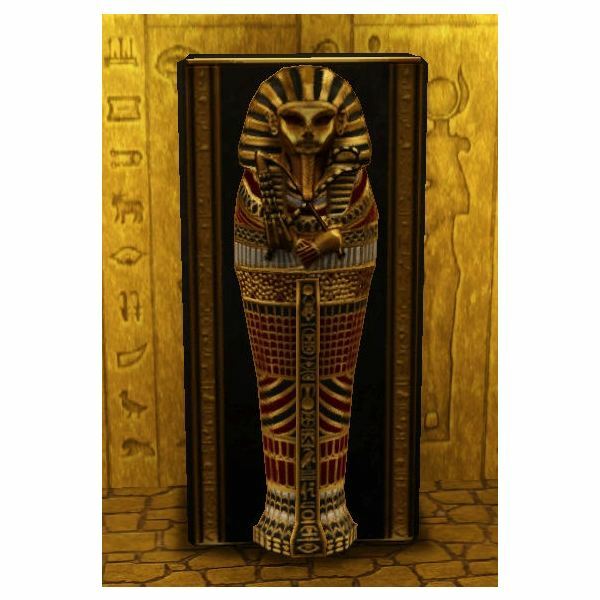 There are a few different types of sarcophagi in The Sims 3: World Adventures. Sims are able to interact with the Sarcophagus in The Sims 3 by: viewing it, sleeping in it, WooHoo in it, and can even try for a baby in it! This type of sarcophagi has no decorations on the object and has only one recolorable area on it. This is the most numerous type of sarcophagus that your Sim will encounter. It can be used to release mummies in tombs. When it is in your Sim’s home, it can also be used to hold treasure by using the “Shift + Ctrl + click" command. This type of sarcophagi has a mummified Sim decoration on the top of the sarcophagus. It has four recolorable areas on it that you can use to create a customized sarcophagus for your Sims. It too can be used to release mummies that are in tombs. When it is in your Sim’s home, it can also be used to hold treasure by using the “Shift + Ctrl + click" command. 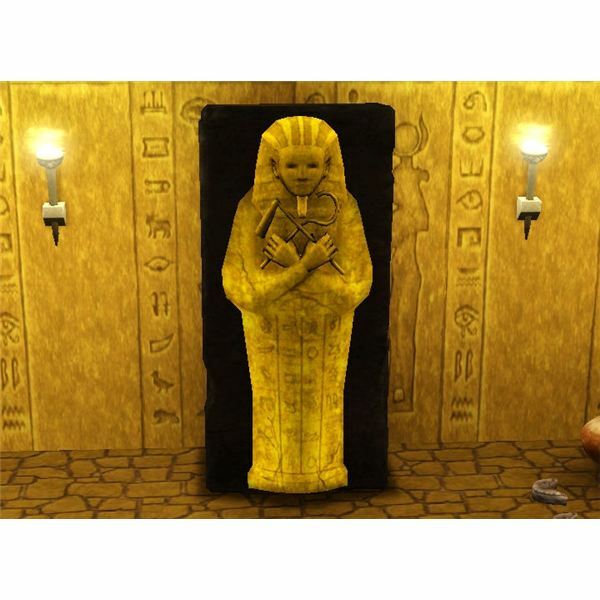 Adventurous Sims that decided to go on trips to the tombs in The Sims 3: World Adventures often found the Sims 3 sarcophagus fragments that can be used to reconstruct a special kind of sarcophagus. Before a Sim can build a sarcophagus, they must first collect all of the fragments. This can take a long time and many trips to Egypt, but it is quite easily done if you like to play and take part in the adventures while there. This special type of sarcophagus in The Sims 3 is black with a gold trim and features a skeletal face that is sculpted on it. This sarcophagus is not recolorable. Sims are able to sleep in this sarcophagus, and will actually even improve their athletic skill for doing so. However, if your Sim sleeps in the Cursed Sarcophagus of the Kings for a long time twice in a row, the Sim will become a Mummy, which is the new “life state" that was added with The Sims 3: World Adventures. The Sims 3 vampires and SimBots that sleep in this type of sarcophagus for a large amount of time will emerge with the Evil trait (it replaces one of the Sim’s other traits randomly). This special type of sarcophagus in The Sims 3 is gold and has a royal looking Sim carved on the front of it. This special sarcophagus is also not recolorable. When a Sim sleeps in this sarcophagus, they will recover their energy very quickly and all of their other needs will be “static." When a Mummy sleeps in the Blessed Sarcophagus of the Kings for a long amount of time, they will eventually become a normal human Sim again. Use Cheats to Buy a Sarcophagus! The easiest way to get past collecting all of the Sims 3 sarcophagus fragments is to use the “BuyDebug" cheat in The Sims 3. Using this cheat, you can purchase all of the sarcophagi in The Sims 3 and they only cost $1.